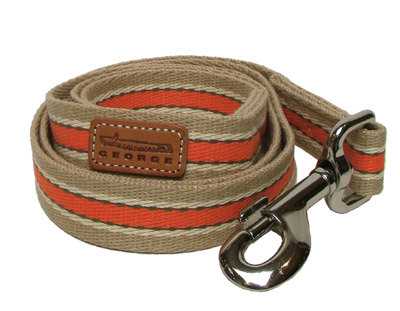 Sturdy cotton webbing lead with woven khaki, orange, olive and crème stripes.Fitted with smooth-opening nickel-plated snap. Leather George patch. Companion collar repeats the design.